Did it just suddenly get hot in here? 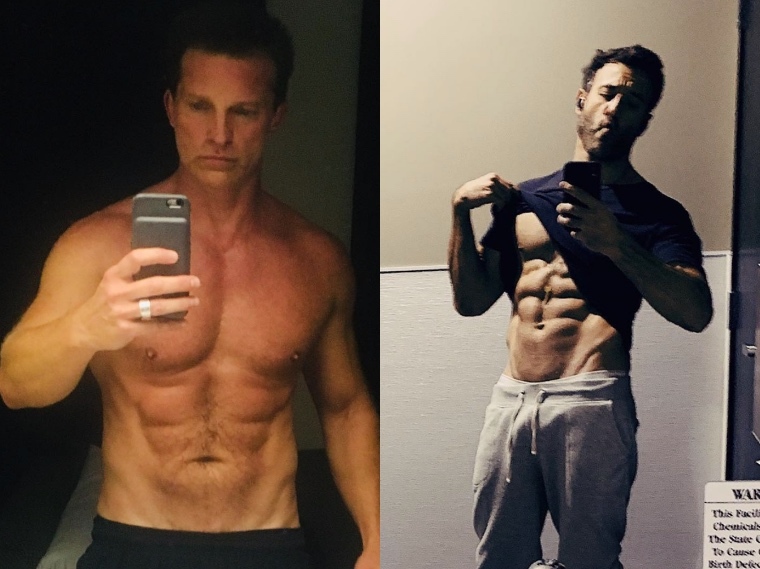 Someone might want to think about cranking up the air conditioning because two General Hospital stars, Steve Burton (Jason Morgan) and Coby Ryan McLaughlin (Shiloh Archer) are steaming things up, both on and off screen. As a matter of fact, it looks as though Steve might be giving Coby a good run for his money when it comes to the abs department. A lot of fans also couldn’t help but compare the photo to a shirtless pic that Steve’s co-star Coby shared back in January. With so many General Hospital stars sharing shirtless photos on social media these days, we can’t help but wonder how anyone gets their work done! Difficult times, indeed.